Domestic style dish brushes used for washing and cleaning ceramics or glassware. The ideal product for all kitchens. 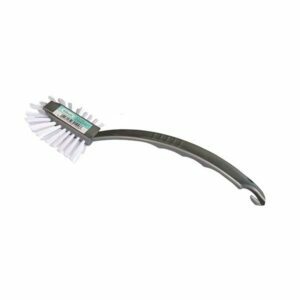 Washing up plastic fantail dish brush with built in scraper and hanging hook, perfect for cleaning glasses, mugs, pans etc. Washing up plastic dish brush with built in scraper and hanging hook, perfect for cleaning glasses, mugs, pans etc. 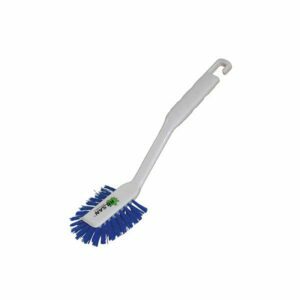 High quality sink / utility brush with strong crush resistant filaments. 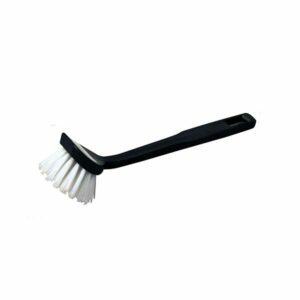 Ideal for food factories, professional kitchens etc this brush is certified as food safe and is also autoclavable. Available in all 4 hygiene colours allowing the implementation of colour coding systems to prevent cross contamination.